Bambo’s pack of 22 XL-Plus nappies are perfect for children between 35-66lbs with a thin, perfect fit and flexible design to enhance freedom of movement. For maximum comfort the nappies are made with extra soft and super absorbent materials which are dermatologically tested to avoid the risk of irritation and rashes. The FSC certification tells you that the materials used to make these nappies are responsibly sourced from sustainable forests, while the Nordic Swan Ecolabel guarantees the production process meets tough standards to help reduce environmental impact. 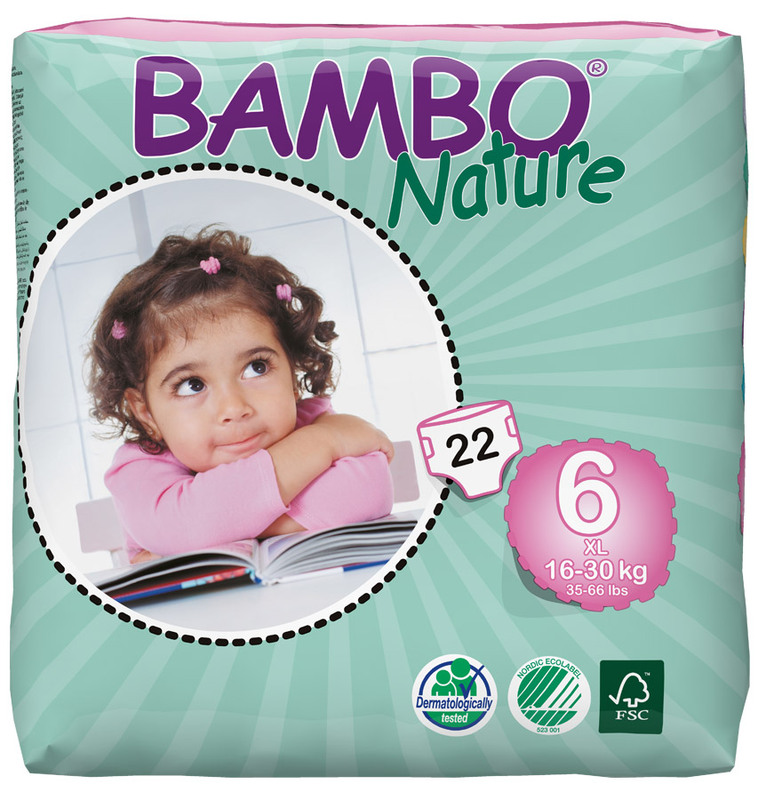 The Bambo Nature Disposable Nappies - XL PLus - Size 6 - Pack of 22 product ethics are indicated below. To learn more about these product ethics and to see related products, follow the links below. 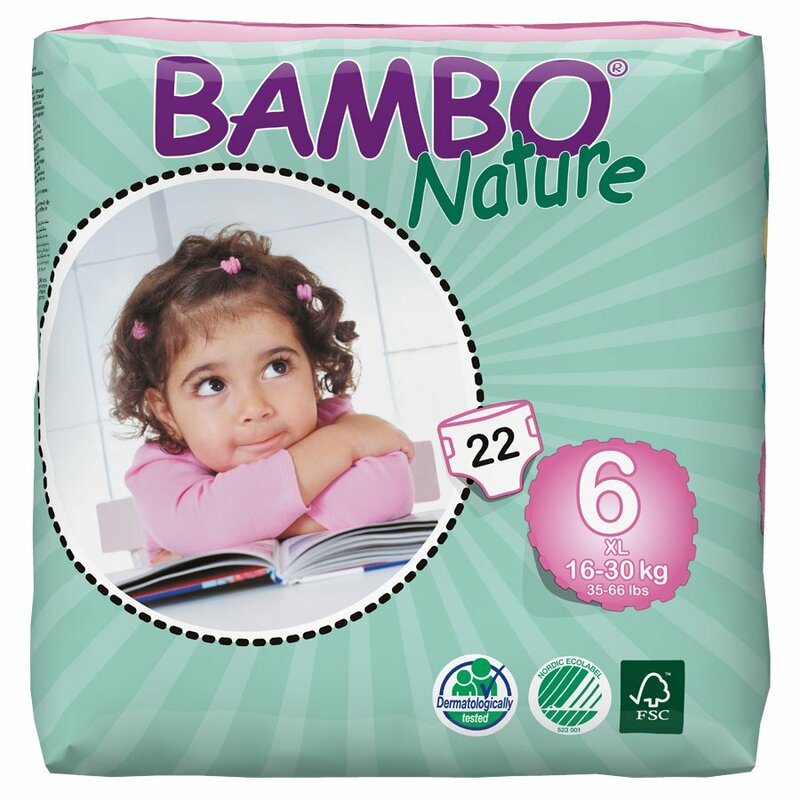 There are currently no questions to display about Bambo Nature Disposable Nappies - XL PLus - Size 6 - Pack of 22. Free from artificial perfumes and lotions, Bambo’s range of Nature nappies are kind to your baby’s skin, and gentle on the environment too. These disposable nappies are a better eco-friendly option than many conventional nappies, biodegradable for your convenience, and minimising waste than gets sent to landfill. Available in different sizes for different ages, these nappies will keep both you and your child smiling. Bambo is a family owned business dedicated to creating eco-friendly baby care products that are safe, gentle, and supernaturally effective.